The mystery of her mother’s death haunts her, and though her father is quick to accept her, the rest of the family and the servants of Whitby Park are not. Only when Brook’s life is threatened do they draw close—but their loyalty may come too late to save Brook from the same threat that led to tragedy for her mother. And then, for a second time, the heiress of Whitby Park is stolen away because of the very rare treasure in her possession—and this time only the servants of Whitby can save her. I really did myself a disservice by reading the Ladies of the Manor series out of order! 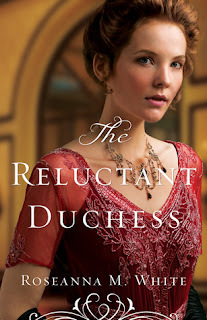 I started with the second book, the Reluctant Duchess (my favorite of them all), then read the third, A Lady Unrivaled, and only now got the first one read. Because there is a continuing plot thread between them all, I knew for the most part what would happen in The Lost Heiress and found myself skimming through much of the introduction of the various family members and cousins and their drama. I was mostly interested in the relationship between Brook and Justin, and how they went from best friends to in love. I was a bit disappointed with their transition since there were so many other distractions keeping them apart, but once they give in to their feelings and trust each other their romance is pretty amazing. Partway through the book the rare red diamonds known as the Fire Eyes come into play, which amps up the suspense and tension as villains stop at nothing to discover them. I especially enjoyed the closeness between Brook and her father after their reunion and was glad that she had someone steady to rely on. The drama over the red "Fire Eyes" diamonds continues as Lady Ella and the characters from previous books try to protect themselves and their families from evil men who wouldn't hesitate to kill over their greed and obsession. 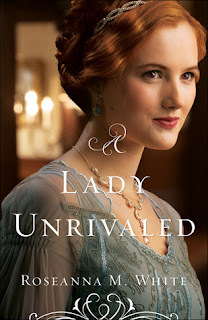 Since this is the third in the Ladies of the Manor series, the author catches the reader up with some general background from the previous books, but I would definitely recommend reading them in order. Ella is an easy character to love with her sparkling personality, full of loyalty to her family and a sweetness with children. Cayton tempers her cheerfulness with his broodiness, yet he can't help but be attracted to her light. I loved that his hidden passion for sketching and painting is revealed and shows his vulnerable and sensitive side. Another aspect I appreciated was the way Ella was comfortable with her faith and that Cayton was seeking to increase his own. It took me a little bit to get into the book, I felt the story was slowed down by the additional perspective of the ballerina mistress of the man seeking the diamonds, although it did offer insight into the plot and increased the feeling of suspense. The Edwardian time period isn't one I read much of but I felt like these books were successful in making the setting come alive. 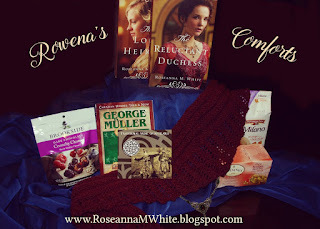 I'd recommend this book and the entire series to fans of historical fiction! There are so many things I enjoyed about this book! Rowena's consistent Scottish burr was a delight to imagine in my head as her voice. It made her character distinctive and unique from the others in the story. Her brokenness of spirit creates empathy and her strength of will, admiration. The way she learns to recognize God's blessings in her life and turn to Him is a subtle and inspiring theme. The intrigue of the plot is one continued from the previous book in the Ladies of the Manor series, The Lost Heiress. Once again I read the second book before the first, but I felt like the author did a good job of catching the reader up (without being obvious or info dumping) so this book can be read as a stand alone. 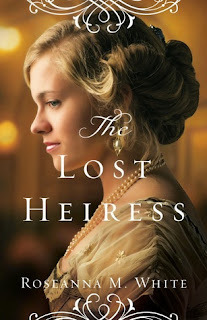 Brice's friends who starred in the first book make a significant appearance in this book so it made me anxious to read The Lost Heiress and not only read their love story but see the origins of the diamonds entering and disrupting their lives. Brice is a great hero- charming and friendly, yet fiercely protective of Rowena and a spiritual leader to both her and their friends. I appreciated that he also had a journey of self-realization and turned to the Lord for grace in overcoming his weaknesses. The dangers faced by Rowena and Brice kept the story moving forward, yet there was a definite focus on their relationship and efforts to learn to trust and love.